Save the date ! 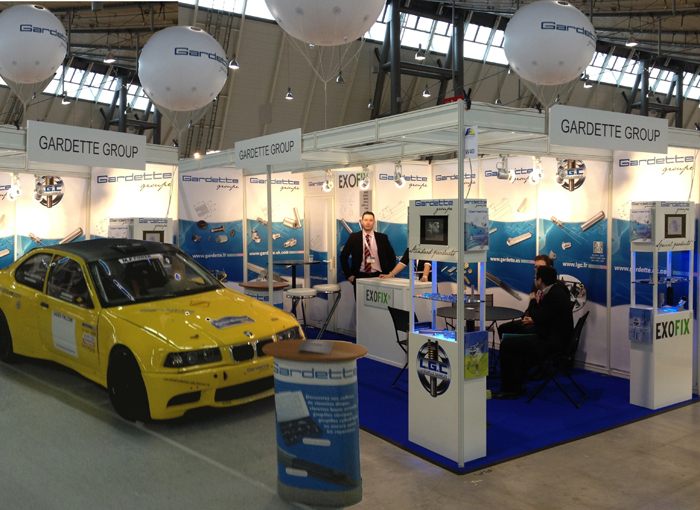 Gardette will be exhibiting at Stuttgart in March. 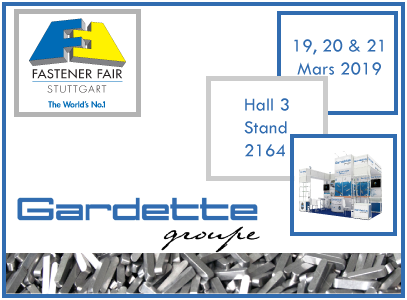 The world’s leading exhibition for the fastener and fixing industry, Fastener Fair Stuttgart 2019 will be the meeting point for all industry specialists. Some 900 exhibitors from 40 countries will present the most comprehensive range of fastener and fixing technologies. The international exhibition will take place from 19 - 21 March 2019. Our teams will be pleased and honoured to meet you at the stand number 3164 Hall 3 . 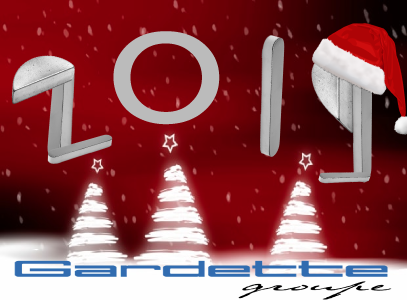 Gardette wishes you a Great New year filled with prosperity, joy, and contentment! However, the standard products which are in stock will still be delivered worldwide. If you are looking for a nice gift for your maintenance, don't hesitate to check our kits and boxes here . 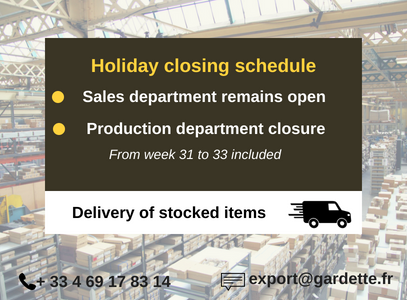 Moreover, the standard stored products could be delivered worldwide during the production closure from week 31 to 33 included (August). Our kits and boxes (keys, pins, key bars) are available, what a good idea for your maintenance! Contact us for any inquiry! Choose the best with Gardette ! Thank you for your visit again !